You’ll find a number of affordable car leases at Armstrong Volkswagen near Portland, OR. But before you commit to one of our dealership's car loans or Volkswagen leases, it’s a good idea to know what’s going to work best for you, your budget, and your lifestyle. If you love the idea of a low down payment, lower monthly auto payments, and trading in your Volkswagen vehicle every few years for a newer, more expensive model, then an auto lease might be what you’re after. If, on the other hand, you like being a car owner, as well as having the liberty to drive as much as you'd like while putting more than the average amount of wear and tear on your vehicle, a car loan or auto finance solution might be your best bet. 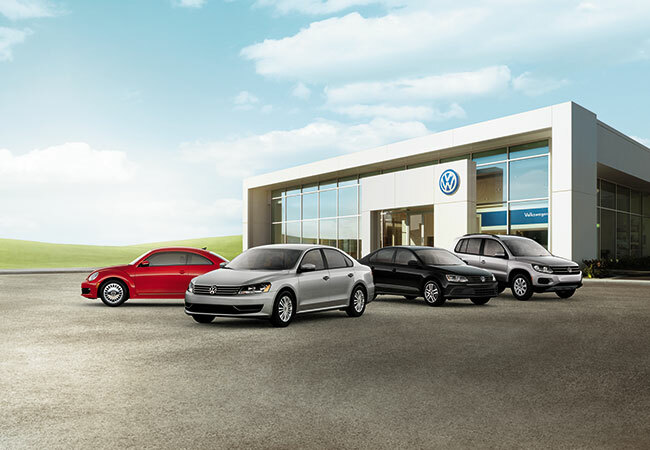 From all-terrain-ready vehicles like the Volkswagen Atlas, the Volkswagen Tiguan, and the Volkswagen Touareg, to swift and nimble cars, like the Volkswagen Beetle, the Volkswagen Golf and the Volkswagen Jetta, you’ll love the wide variety of popular models that you can find at Armstrong Volkswagen near Portland, OR. And thanks to our incredible leases, you'll be able to easily get into the driver’s seat of your favorite new models. If competitive gas mileage, refined style, and dependability are what you want out of your next vehicle, our fun and lively Volkswagen lineup is guaranteed to deliver. Want to trade in your car and experience extra savings on an auto loan from Armstrong Volkswagen? Our auto financing specialists are committed to getting you top trade-in value on your current vehicle so that you can save even more on one of our new Volkswagen vehicles. To explore your car loan and car financing options, or to find out more about excellent Volkswagen leases near Portland, OR, get in contact with our finance department today, online or in-person, at Armstrong Volkswagen.